How to Fix Error msvbvm50.dll is Missing by Downloading It from Microsoft Site? Home / Fixes / How to Fix Error msvbvm50.dll is Missing by Downloading It from Microsoft Site? In case you are facing error The program can’t start because msvbvm50.dll is missing from your computer. Try reinstalling the program to fix this problem or This application has failed to start because msvbvm50.dll was not found. Re-installing the application may fix this problem during the application run, you don’t need to look for and download this file from suspicious websites or DLL packs, you have an option to solve this problem in an easier way. 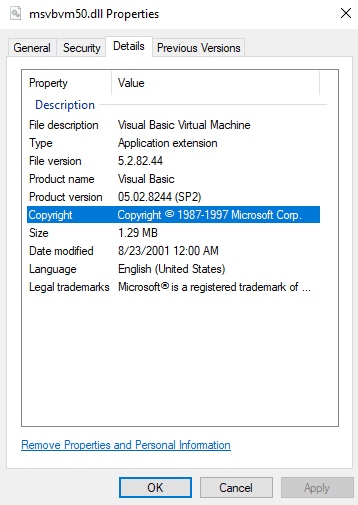 File msvbvm50.dll is a part of Visual Basic 5.0 Run-time library. Msvbvm50.dll missing errors can also occur during the application installation, when running application that uses msvbvm50.dll, during Windows boot and shutdown or even when installing the operating system itself. It can also occur because of msvbvm50.dll is damaged. This time we will show you how to download msvbvm50.dll from the official Microsoft website and install it on Windows 10, 8 or Windows 7 and fix error when msvbvm50.dll missing. How to Download MSVBVM50.DLL from Microsoft Website? As always we want to mention that we don’t recommend you to download DLL libraries from suspicious unknown websites – in most cases there is an option on how to download it from official developer’s website. File msvbvm50.dll is one of the libraries that are included in VB Runtime and needed to run many games and applications that are designed with the help of Visual Basic 5. After that the error msvbvm50.dll is missing will disappear. In case the problem still persists, try to use an additional information below, it can be quite useful. 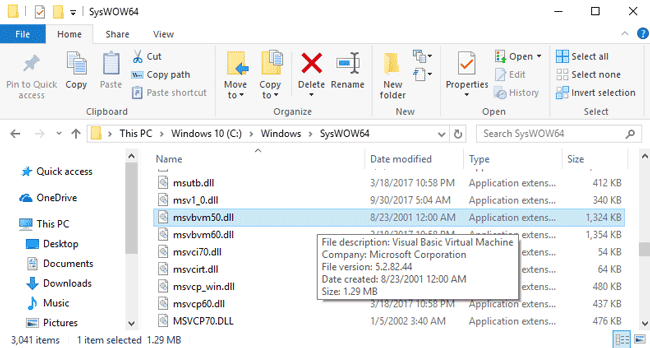 In case the application continues causing error, try to copy and move msvbvm50.dll to the same folder where the .exe file of the program or game is located in. What is csrss.exe Process and Why It Causes High CPU Usage? How to Replace a Motherboard Battery? How to Fix iTunes Error 4013?